Leaders at all levels benefit from continuous improvement of their leadership skills, whether you are the CEO of a multimillion-dollar company or a startup. Cheryl Lauer, Execution Expert and Leadership Development Coach, is leading this month’s Eat, Learn, Grow. She will help you take your leadership performance to a higher level, no matter what size team you are leading. Members will walk away understanding what makes a team dysfunctional, how to prioritize and set goals as a team, how to effectively use meeting time, and other best practices to achieve new heights of success! Be sure to bring your lunch or have food delivered to RISE. Cheryl also owns Bakers Pride, a wholesale bakery, and will bring sweet treats that will make you smile. Members can RSVP for this event HERE. Not a member, but interested in this event? Email info@riseworkspace.com to learn more. Volunteers provide incredible value by generously giving their time and talent to increase your organization’s impact in the community. But how do you keep them passionate, inspired, motivated, and coming back for more? And the same questions apply to your paid employees, too! Join us at Power Up Coffee to hear from Lisa Picker, Executive Director of the Women’s Foundation, and learn the 5 essentials to volunteer motivation. You will walk with tangible tools and tactics that you can start using with your volunteers or any employee today. Successful leaders build and support thriving teams. Learning to be an “ally” is a little known yet vitally important tool to build a successful team. Come learn what an ally is, why it matters, and how to become and lead successfully as one. RISE members Kate Kerr and Nicci Roach will explore allyship through interactive conversations and storytelling, and will offer simple tools to take back to your workplace to start making a difference today. Come ready to share, listen, and act. Lunch will be provided. Not a member, but interested in this event? Email info@riseworkspace.com to learn more. A brand’s identity is key to connecting with consumers and tells the world what they stand for, what they believe in, and why they’re in business. The number of consumers who care as much or more about what a brand stands for than the product itself is growing rapidly. RISE has assembled a powerhouse panel of four CEOs who have created brands that are disrupting their industries, prioritizing environmental sustainability, supporting women through their products and missions, and embracing that story to craft a truly successful brand. Join us at RISE St. Louis on April 23rd from 5:30 - 8:00 pm for this event. You won’t want to miss it! Sponsored by Altress, a made-to-order dress company designed to minimize waste and maximize customizability. Limited space available - reserve yours now! Limit one ticket per member - reserve yours now! You will receive receipts and helpful notifications from RISE Collaborative and Altress at the email address you provide upon purchasing. Celebrate the Grand Opening of RISE Collaborative Workspace in Denver! Please join us as we open our doors for an evening of bubbly and merriment with a who's who of Denver’s movers and shakers! You're welcome to invite colleagues, contacts and friends who would like to tour RISE Collaborative Workspace in-person and meet the incredible members and staff who make up this curated community of ambitious women and to see our beautiful, inspiring workspace. We look forward to sharing in the fun with you. RSVP below. We all like to do business with people we know and trust. Social media is a powerful tool to build relationships, but knowing how to do it in a way that is authentic and results in business growth can be difficult to navigate. Take a look behind the curtain with local blogger and RISE Member, Katelyn Young from the Bejuled Life, who will share her story of becoming a successful influencer and how she built her personal brand. You’ll walk away with insights into using reliability and authenticity to build a following that trusts you and how to turn that into business growth. Lunch will be provided by ‘Zza Pizza + Salad. Did you know 30% of the time the average brain is daydreaming until they hear a story that interests them? If customers are confused about what your business does or offers, they'll look past you for somebody with more brand clarity. We want your brand to get attention. StoryBrand is a cutting edge framework to help companies tell a clear and compelling story. Join us at Power Up Coffee where Stacey Harbour, Founder of ALP Consulting and Certified StoryBrand Guide, will show you how the StoryBrand 7-Part Framework acts as a filter you can use to clarify your brand so your customers will listen, helping you win in the marketplace. What makes for a successful new or established brand identity? Believe it or not, your brand is much more than just a logo. Join us as creative studio owner Lindsay Scholz shares helpful tips for crafting a strong brand mission statement, identity, and more while sharing actionable tips that you can use in your business right now. Brand worksheets will be provided to help get your ideas down on paper to start finding identity in your brand. Women are a huge economic force, with women’s wealth, income, and financial strength growing faster than ever. Research suggests that women may soon control the majority of US household wealth, and nearly half are the primary breadwinners in their households today. But in spite of this, many women still lack confidence when it comes to financial planning, investing, and managing their wealth compared to their male counterparts. It’s a vulnerable feeling for many women that spans all ages, ethnicities, industries, and income levels. RISE Collaborative is bringing together three influential women who work in the wealth industry to share their expertise and knowledge to illuminate this confidence gap and most importantly, tools for every woman to feel more capable and confident in their financial lives. You won’t want to miss this event! Join us at RISE St. Louis on March 26th from 5:30 - 7:30 pm. You will receive receipts and helpful notifications from RISE Collaborative and Lathrop Gage at the email address you provide upon purchasing. No matter your business, networking is necessary for any professional. But whether you are an extrovert or introvert, walking into a room of strangers to try and build connections can be difficult. Recruitment Leader, Speaker, and Coach, Kesha Kent, BA, MAOL will help us overcome this fear in an interactive session focused on finding confidence in your networking abilities. Learn how to take the pain out of networking and leverage it for your brand or business. Lunch to be provided by Avenue. If you’ve ever felt that you don’t deserve your success or that you’re going to be “found out,” you know about the effects of Imposter Syndrome. The biggest tool to overcoming this incredibly common affliction: self confidence. Having confidence when you feel like an imposter isn’t always easy, but it is always worth it. Elizabeth Haberberger, President of Dale Carnegie Training of St. Louis, will help members develop the confidence it takes to overcome Imposter Syndrome and be successful in any role professionally or personally. Join us at Power Up Coffee to gain an understanding of what confidence means for you, create an action plan to jump start your confidence, and recognize the critical steps to move past Imposter Syndrome in different settings. Video continues to grow as one of the most powerful tools for marketing, promotion, and connection. Mastering the ability to be on camera confidently is a vital tool to have in your arsenal. Whether it's a video for your website, Instagram story, TV interview, or anything in between, we often find ourselves needing to appear on camera looking confident! But there's just something about a camera lens that makes many of us feel or look uncomfortable. Join us for March's Eat, Learn, Grow where Julia Crump will provide practical tips and interactive practice for shining on camera, getting over your fear of imperfection, and curating your content. You'll walk away with tips and tricks for wardrobe, hair/makeup, equipment, lighting, and more! Come prepared with a brief elevator pitch to practice filming on your phone. Make sure to bring your own lunch or have food delivered to RISE for this event! St. Louis is filled with thousands of diverse, successful, and influential women. Women working each day to impact this community, advance their company, and make a difference. From the small business owner to the corporate officer to the community leader, women are making waves and driving change. As a hub for female empowerment in St. Louis, RISE Collaborative recognizes the powerful impact of women and we want to celebrate their remarkable successes. At RISE Collaborative we live by Jim Rohn’s quote, “You are the average of the 5 people you spend the most time with”. 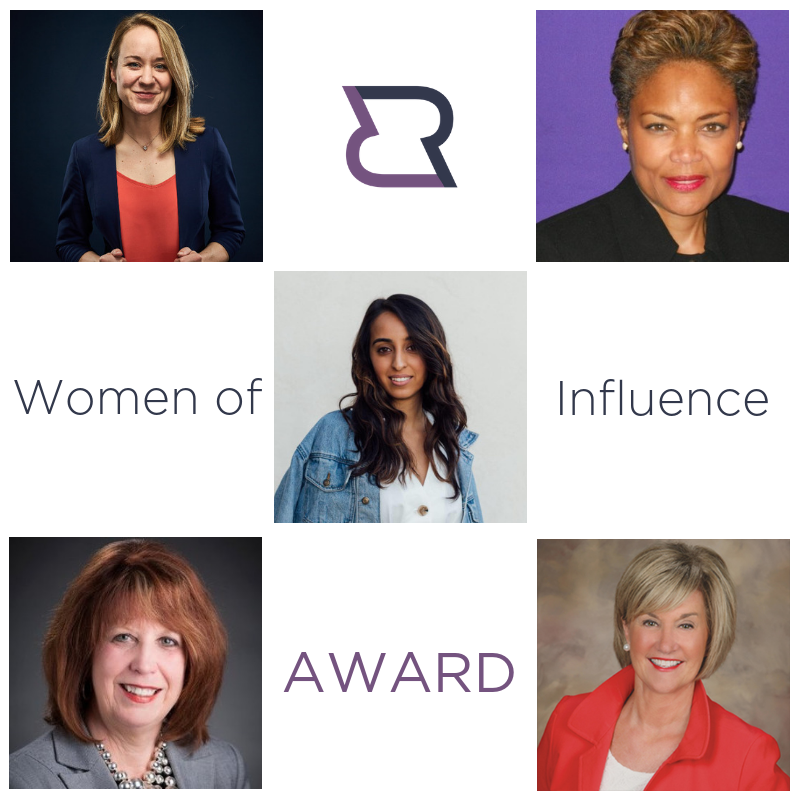 We are thrilled to present the inaugural Women of Influence Awards to these five incredible women who it will be an honor to recognize and spend time with at the Award Ceremony! Please join us on February 26th to help us celebrate and these influential and inspiring women! The Women of Influence Awards Ceremony will be from 5:30 to 7:30 PM at RISE Collaborative Workspace. In addition to honoring these women, you won’t want to miss a panel discussion with the winners sharing lessons learned and words of wisdom. This event is SOLD OUT. If you’d like to be added to the waitlist, please fill out the form by clicking below. “Becoming Conversationally Intelligent” Led by RISE Member Kim Baker. You’ve heard of EQ-Emotional Intelligence. But what do you know about CIQ™ which is Conversational Intelligence? Words create worlds, both professional and personal! Cultures in business and family & friend communities are dependent upon the health of relationships, which are dependent upon the quality of our conversations. Join RISE Founding Member and qualified CIQ™ coach Kim S. Baker and learn how our brain’s neurochemistry determines the quality of our conversations, relationships, and culture. In this workshop we’ll generate awareness of tactics and skills to regulate neurochemistry - ours and others - to create conversations that move us and others from "resistor" to "partner & collaborator." CIQ™ improves relational trust and creates advocates, allies, and friends. Bring a target conversation (such as a new conversation you need to have; revisit and restart an unsuccessful conversation; or improve an ongoing conversation) to work on during the workshop and walk out with an approach and key steps to improve that conversation. Don't let your company culture be defined for you! Whether there's one employee or 100+, company culture impacts every part of a business, both internal and external. Company culture matters, and you can control it by being part of the journey instead of watching it go by. At this month's Power Up Coffee, HR Leader Katie Swengros will illuminate key ways to influence engagement, commitment, and work environment to maximize your ability to define company culture. Join RISE Member Glenda Woolley for February’s Eat, Learn, Grow! Glenda will give you the tools to prepare for high-stakes conversations, transform anger and hurt feeling into powerful dialogue, and make it safe to talk about almost anything. Drawing from the bestseller Crucial Conversations: Tools for Talking When Stakes are High, Glenda will support Members in developing effective communication styles for both personal and professional conversations. Whether you work in sales or not, you're still selling - an idea, a service, or even yourself. And sales doesn't have to be "selling"... really it's just problem solving. Hear from Kris Crichton, a passionate customer advocate with over 15 years experience leading growth agendas, how to improve your active listening, become more present, and move the needle in 2019. For the first time in history, five generations are working side by side, each with different leadership, communication, and career development styles. One can imagine this brings a unique set of challenges and opportunities for companies. Hear from top St. Louis women leaders on how to recognize and leverage multigenerational strengths in the workforce. You won’t want to miss this event! Join us at RISE St. Louis on January 22nd from 5:30 - 7:30 pm. Sponsored by Anders CPAs + Advisors. Join us for this month's Pod Club to hear from Niki Leondakis, CEO of Equinox, on this episode of No Limits with Rebecca Jarvis. Rebecca and Niki discuss Niki’s journey to becoming Equinox CEO in 2017 and the twist and turns along her path. Niki reflects on how to be her best self and the important milestones in her life. Start your new year off right with this interview and learn how to put your best foot forward in 2019! Listen here and then join us to discuss at RISE in a conversation led by RISE Member Elizabeth Farmer at 6pm! Welcome to 2019! Join us at the first event of the year - Eat, Learn, Grow. Heather Crider will be leading a session called New Year: New Messaging! In this dynamic and interactive presentation we will take time to understand the different types of messages and why having an authentic message will directly impact the growth of your business. We will discover the pitfalls most business owners and entrepreneurs fall into when trying to develop an authentic message for their brand. We will discuss what happens when attempting to create a message and how to feel more secure in yourself and message. We will understand what is stopping you from being more confident in selling and how to look at messaging in a whole new way! Food for Thought - Mirror Mirror on the Wall: How do I plan a successful year after all? Do you know what the most overlooked step in the goal-setting process is? Join Denise Purdy for the answer to this question and the tools needed to get a jumpstart on your 2019 goals! Come learn how to raise the bar in your business while reflecting back on 2018. Lunch to be provided by Seedz Cafe. Not a member, but interested in this event? Email rian@riseworkspace.com to learn more. One of the most recommended podcasts by our members is “The School of Greatness” hosted by Lewis Howe. For our December podcast, we selected the episode where author and blogger Michael Hyatt joins Lewis to talk about realistic goal-setting. Michael walks through the important balance between drive and happiness using personal examples in his own life. Listeners will hear important tips on how to keep perspective and vision and how to connect your goals to your "why." From master goal-setters to those of us who've never felt successful with goal-setting, this episode is for you! Listen on your own and then join us at RISE to discuss. Listen here! Not a member, but interested in this event? Email rian@riseworkspace.com to learn more. Have you ever changed course in your life? Or thought about what your "why" is? Rachel Andreasson knows the importance of personal reflection when changing course and making change. Join us at this month's Eat, Learn, Grow to hear tips on how to stay on track while changing course and how to define your purpose in life. You will walk away with better perspective on work/life integration and valuable leadership lessons. Not a member, but interested in this event? Email rian@riseworkspace.com to learn more. Join RISE Member and Owner of Fit-Flavors Jillian Tedesco as she leads this St. Louis Power Up Coffee on Mindset & Attitude. Healthy breakfast snacks to be provided by Fit-Flavors! Not a member, but interested in this event? Email rian@riseworkspace.com to learn more. Women often wear many hats and juggle quite a bit. It can be tough at times to balance it all. We are excited to bring you a panel of women leaders to discuss their experiences and imperfect pursuit to maximize work and personal life. 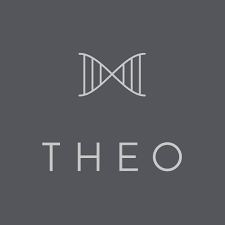 Join us on November 8th at 5:30 at the beautiful rooftop lounge of the brand new Theo Luxury Apartments to hear from these inspiring women. There is tons of parking in the adjacent parking garage. A graduate of Yale Law School, Gretchen spent a year doing scientific research and practical projects in an attempt to discover how to lead a happier life. This experiment of self-discovery led to her New York Times bestselling book and phenomenon “The Happiness Project.” The book recounts what Gretchen learned about herself and how she was able to become happier and more fulfilled. Gretchen shares her eight personal rules of happiness, which she says can help fill your day with more joy. Listen here and then join us at RISE St. Louis to discuss! Not a member, but interested in this event? Email rian@riseworkspace.com to learn more. Join Nicci Roach (COO & Co-Founder of Mosaic Ceiling) for her workshop presentation on "Inclusive Communication" in St. Louis. More details to follow. Not a member, but interested in this event? Email rian@riseworkspace.com to learn more. Has fear or feeling overwhelmed ever paralyzed you from raising capital or taking your business to the next level? Often the information out there can be confusing and not always approachable for women. Join us in St. Louis on October 30th at 5:30pm to hear from Sara Stock, Michelle Murray, Christina Anderson, and Laura Burkemper, experts in legal, accounting, banking, and entrepreneurship, for tips on overcoming the common pitfalls business owners face, plus tactical tips on raising capital to grow and expand your business. There is so much to consider when it comes to healthcare and insurance, and it can be overwhelming to navigate alone. Debbie Ruocco is ready to help you manage the basics and make informed decisions. She'll talk through best practices, with a specific focus on business owners, single moms, and retirees. St. Louis Members can RSVP HERE for this event! Not a member, but interested in this event? Email rian@riseworkspace.com to learn more. Perhaps best known for popularizing the “little black dress,” Nicole Miller is a renowned businesswoman, fashion designer, and style setter the world over. She’s also passionate about seeing other women succeed and is coming to RISE Collaborative to share her insights on building, growing, shifting, transitioning, and maintaining a multi-million dollar business. Join us for an exclusive conversation with Nicole Miller on October 11th at RISE Collaborative. Limit one ticket per member. Want a private shopping experience with Nicole Miller all the while supporting a good cause? Click below to learn more.